Becoming a workplace leaders does not always mean that you are given a title and a pay raise, at least initially. You may have to prove yourself first. Fortunately, it is not that hard to do when you utilize the following strategies. 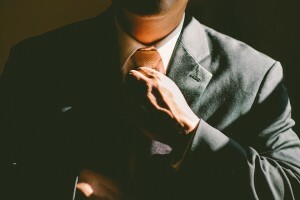 Dress, speak, and act the part of the leader you want to become. Treat others the way you want to be treated to earn their respect. Don’t play favorites; instead, view everyone as equal. Perform your work in a positive and productive way to let others see that you are serious about your job and expect others to be, as well. Avoid negative behaviors such as being overly critical, judgmental, or biased. Maintain ethical integrity and encourage employees to do the same. Read books about leadership and study positive role models. Then do as they suggest to build rapport and gain respect at work. Plan projects efficiently to ensure success, selecting the most suitable individuals for each role. Monitor without micromanaging. Provide adequate training and skill-building opportunities to help employees reach their potential and excel at their jobs. Use company resources prudently to build success. An interactive workplace is more effective than one that operates from the top down. Use various means to solicit employee suggestions and feedback. For example, a suggestion box may attract new ideas or recommendations. Company newsletter recognition fosters awareness and appreciation of employee efforts. 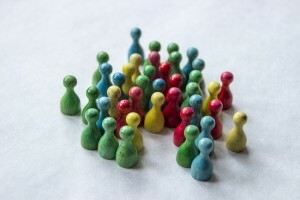 Meetings or focus groups enable employees to have a say about their department’s performance or problems. An interactive in-house discussion board may elicit informal comments or insights. Employees who feel valued are more like to respect and follow company leadership. Employees want to know how the company is doing and where it is headed. Routine updates or periodic reports will keep them apprised of the organization’s status and allow them to feel like they are part of the loop. Employees who feel disenfranchised are less productive and more likely to grumble about company policies or even leave their jobs if they are dissatisfied and feel unappreciated. Maintain a hierarchy of authority and an environment of openness to instill employees with security and a positive attitude toward your ability to lead. It has been said that leaders are born, not made. But someone who is willing to stand up and show the way to others within a company can quickly earn respect as a leader. Apply to attend the upcoming Business Acceleration Summit and mastermind with our industry leaders and mentors, including Forbes recognized Transformational Leadership Strategist. If you run a business of any kind, then you already have several processes in place that help you get work done in a more efficient manner. Sometimes you may not have defined exactly what these processes are, but you’re doing some kind of process whether it is efficient or not. 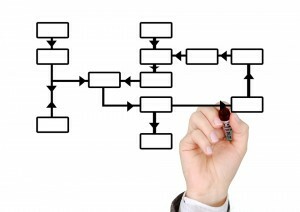 The key is to find out which processes are necessary for your business and streamline them as much as possible. The good news is, it doesn’t have to be overwhelming. Here’s how to make it happen for your own company. Without a clear definition of your end goals, you are prone to run your business in circles. Start with a defined purpose for each task, not just a to-do list. For instance, emailing five customers or calling five customers might each be on your daily list, but they might support the same outcome: getting more sales. 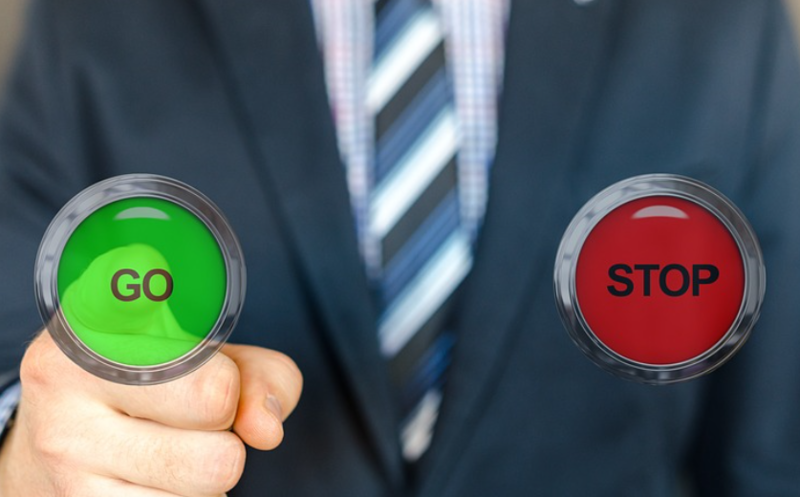 If you turn the sales steps into a documented process, you can stay focused on the end goal. This is an example of defining what you want before getting busy. Knowing why your outcome is what it is will help clarify your clunky processes as well. For instance, perhaps sales are important to please the shareholders and get your bonus this year. Or perhaps it’s because you need the extra capital to buy a new building. This motivation will help you keep going through the process even when it seems mundane. This can also help employees grasp a bigger picture and help them feel connected to the business as a whole. Without the right tools, even the best workers will suffer in terms of productivity. That’s why you need to have key systems in place that help you do more in less time, such as manufacturing software. Instead of having your projects spread out and bouncing between people or places, your project lead can delegate all manufacturing stages from one central dashboard, share files, and keep tabs on the progress of each project in real time in the cloud. Once you’ve defined what your goals are for your process and have the right tools in place, you still need to maintain it. Periodically perform a review of your systems. Make sure they are still meeting your needs and aren’t wasting more energy than necessary. When it comes to business, efficiency is everything. Without efficient business processes, you risk wasting not just time but also money and energy from your employees. By streamlining your processes with the tips above you can enjoy a competitive advantage that puts you miles above your competition, and saves your company resources for the places you can really leverage them. Share your favorite tool or program and how it helps streamline your processes. Part of building a team is being able to communicate effectively with one another. This means that all members of the team need to contribute to achieve success. Evaluating employees’ communication skills first can help you determine areas of weakness that may need training. There is a difference between talking to fill the silence and engaging in meaningful conversation. Productive dialogue involves the give and take of ideas. When dealing with hurt feelings, modifiers need to be added to the conversation. This means that one person states how the other person made them feel without laying blame for the situation. Just as in a family, there must be rules that lay out ways to have positive interactions with each other. There also needs to be clear avenues for how to address grievances. You want your team to feel as though they’re valued. Everyone has something different that they can contribute to the team. Having ground rules can make these interactions more productive for the entire workplace. Team building workshops are a good way to get everyone on board. It’s most effective if you do this by signing up for structured courses. These programs are designed to engage everyone that attends, often involving group activities. The point of the activity is so that your team can learn how to work together to achieve a goal. The instructor can observe the interactions and make suggestions to correct behavioral problems. 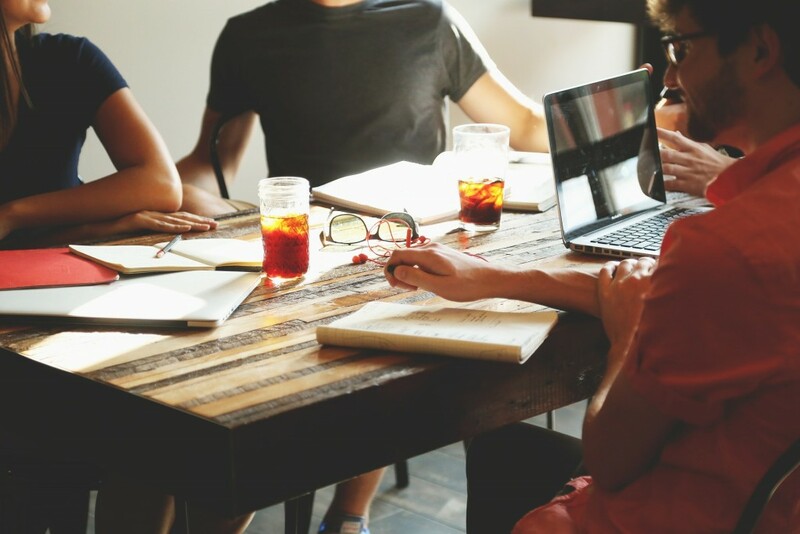 After the workshop, teams often experience “improved productivity, greater bottom-line results, and more quickly attain organizational goals” (CMOE Corporate Team Building Workshops). Active listening is a skill that doesn’t always come naturally, but it can be learned. Those that practice active listening are more likely to be successful at work. This means listening to what the other person is saying before formulating your response. Repeat back what you think you heard. This way there won’t be any misunderstandings. This can lead to a more harmonious workplace and can also foster an environment of respect and trust. Even the best technology and business models can’t succeed with successful relationships (Forbes). Having good workplace dynamics improves productivity, employee morale, and the quality of work produced. A large part of this involves communication. In order for your team to be successful, pretend you’re a family and work together. We offer business and marketing consulting to increase revenues, develop a high performance team, and avoid costly mistakes. 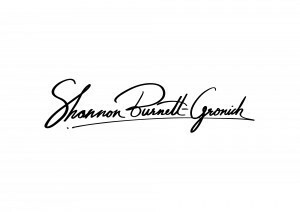 Book a complimentary 30-minute strategy session with Shannon today! 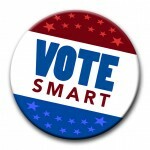 The infamous questions prior to an election – Are you planning to vote? Who are you voting for? The infamous questions after an election – Did you vote? Who did you vote for? Some are very open about their voting choice whereas others strive to maintain their privacy about theirs. Some elect not to vote at all. There are various reasons as to why people are so open or so reserved with announcing who or what they are voting for. Perhaps some don’t want to engage in a debate with family, friends and co-workers over a matter of difference in opinion. Perhaps some strive for that thorough discussion with others. Perhaps some want to promote their beliefs while others wish not to be swayed in their thoughts. Was I most recently asked who or what I voted for? Of course! Am I willing to share my votes with you? You bet!! I vote for businesses to excel. I vote for collaborating. I vote for communities to come together. I vote for single mothers not to feel overwhelmed with trying to run a business and raising her children at the same time. I vote for the welfare of our children. I vote for more family time. But, what I TRULY vote for is for the combination of all. I stand behind small business owners who network within their community; who have the understanding that coming together as one carries so much further than trying to do things individually. Individually, businesses are a single rain drop in the scheme of things but together they are the storm. Be the storm! When business owners collaborate with like-minded individuals, the viral effect is for all to excel. I vote for all businesses to adopt this practice. The single mother business owner who networks and collaborates will raise more awareness to her own personal company (and others) which in turn will create personal time for her to enjoy her children. The busy grandfather who spends all of his time trying to generate new leads for financial stability can alleviate his schedule by investing half of his time in group collaboration, thus allowing him more free time to watch his grandson play baseball or his granddaughter perform in her ballet recital. We are all a product of our environment each bringing with us what makes us unique and when we work together to achieve a common goal within our community we tend to reach and exceed at a much faster rate and reap the rewards in ten folds. Reciprocating services with one another, reaching out to our business neighbor, helping others prosper — all of this aides in bringing our own personal businesses to a higher ground. I vote for more group effort focusing on what we have in common and how we can serve our community. I vote for all of the sole proprietors to find themselves in the land of majestic professionalism by changing the thought that “sole” means you must do things alone. I vote for branching out and extending that helping hand to others in the business world through group collaboration. I vote for business owners to introduce other business owners to people they know or do business with. So, today, I tell you where my votes lie. They lie within the overall growth of the world….The growth that YOU can contribute to and be a part of. The opportunity is here and it’s knocking. Answer the door! Share what’s in your heart! P.S. Come collaborate with us at the upcoming Business Acceleration Summit – Mentors & Mastermind Mixer in Melbourne, Florida. For those of you who have been following me for a while, you may remember my life circumstances that gave birth to the cross-country Dare to Live Challenge several years ago. (If not – no worries. I shared the full scoop in a recent interview in The Rebel Entrepreneur Summit. You should definitely check it out!) I’ll give you all a little hint, though: the inspiration was born out of a tough time in my life … and then deciding to make a tough and rebellious decision to finally share about it openly & vulnerably. And, to be honest, that hasn’t felt completely right or authentic to me. 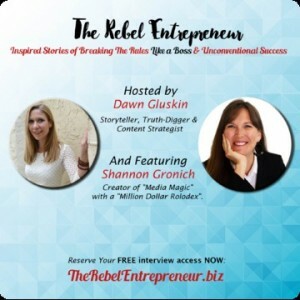 This is why, when my truth-digging, storytelling friend Dawn Gluskin, asked me to join her on the Rebel Entrepreneur summit to talk about the rebellious act of actually bringing your SELF to your life and business … I felt called to join in on the conversation!! As they say, the right people show up in your life at the right time for a reason. (This, by the way, is why building a community of entrepreneurs is such a big part of my mission. Being part of a community allows for these opportunities to show up at just the right time). Dawn has 10 experts lined up and we are all candidly sharing the behind-the-scenes of what it REALLY looks like to be an entrepreneur & talking all things self-expression, vulnerability, and breaking the rules like a boss. We’re also sharing tips on how to grow your business & amplify your message — just by rebelliously bringing more of your self and story to the table. Register now for FREE access to all the Rebel Entrepreneur videos, plus biz-building BONUSES from all the guests. I promise, you’ll want to hear these stories. And, you’ll feel inspired and courageous to take rebellious authentic action in your own business! PS – Don’t forget to register NOW for the Rebel Entrepreneur Summit. You don’t want to miss out on these juicy interviews & bonuses that will teach & inspire you to quickly & authentically grow you biz & brand. They won’t be available for long, so register now! !